Love it or hate, it matched betting has become extremely popular in recent years. 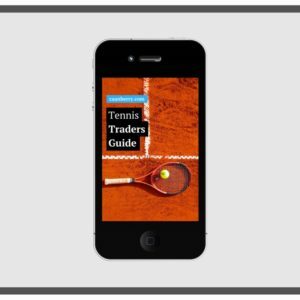 For a determined handful, it’s the first step towards trading sports properly. If you’ve tried it before or not, we’ve put together one simple super-post! You might have heard claims that matched betting is a completely risk-free method of betting for profit. Whilst that’s not entirely true (there is a degree of risk to everything), it’s close enough. In a nutshell, matched betting is a way of profiting from the free bets and bonuses that bookmakers give out as promotions. If you’ve ever signed up for a bookmaker account or even watched the TV once in a while, you’ll have come across free bets and bonuses being advertised by bookmakers and casinos around the world. They don’t just do this because they have so much money that they feel like they need to give it away… They do it to attract new customers. 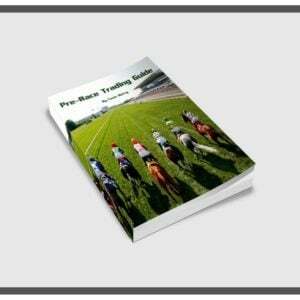 There are thousands of bookmakers and the market is extremely competitive. It’s very often the bookmaker that gives away the largest bonuses that wins. Whilst the average customer will use this free bet on whatever takes their fancy, matched bettors can use it in a way that will guarantee profits, whatever the outcome. For example, they may back a horse to win a race using a free bet and still come out with a profit, even if the horse loses the race. They do this by matching their bets on another sportsbook or exchange, so they have effectively hedged their bet. This is why it’s called “Matched Betting”. Matched Betting works by milking bookmaker offers through a three-step process. It’s very simple. Find a bookmakers offer. For example: Open an account, Bet £10 to receive a £30 free bet. Next, you need to qualify, whilst dumping the first bets liability on the exchange (preferably at the same price). Finally, repeat the process with the free offer – levelling your profit in the process. Let’s assume Betfair are offering a £30 free bet for a new account that bets £10 on their sportsbook (step 1 complete). We start by opening an account on Betfair, and placing a £10 bet on Redrum in the 2.30 race at 3/1. To dump the liability this bet offers we lay Redrum in the 2.30 race on SMarkets at 4.0 (also 3/1). Because we have laid off the same bet, we don’t win but neither do we lose! (possibly a few pence commission depending on which bet wins). …but now we have a free £30 bet to play with! (step 2 complete). Back Dobbin on Betfair at 3/1 for £30 free bet. Either way, we win £22.16 after commission (step 3 complete). Why? Because the free bet wins us £90, but we lose £67.83 on SMarkets, whereas if Dobbin should lose; we lose our free bet but win £22.16 on SMarkets. Pretty cool huh? Easy. But that’s how matched betting works – and why so many have made money from it! Make no mistake about it, the “industry” is full of dodgy-looking websites and stories that seem far too good to be true. But in its essence, matched betting is not a scam. Where you’ll need to be careful is in the dozens of paid groups that ‘review’ and promise to help you with your matched betting. Some are genuinely helpful, without a doubt. However some are just there to take your cash, offering very little. Just be sure to do your homework first. 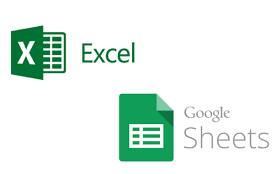 Most calculators, spreadsheet templates and other tools can be found for free online in most cases. By its definition, matched betting is not illegal. It is however, against almost all bookmakers terms and conditions. This means that in most cases, you will be banned or “gubbed”, which basically means they will no longer offer you free bets and bonuses. If Tesco gives you a voucher for a free pizza, are you a crook for making the most out of it? Nope. Just being smart! In summary; matched betting is 100% legal. Once you’ve grasped the basic principles of matched betting, your main challenge is going to be organisation. Organisation may sound dull, but there are countless stories of people forgetting about thousands of pounds worth of funds in old accounts because they didn’t keep track of things. Another all-to-often heard story is when matched bettors lay or back the wrong football team or horse, all because they didn’t keep up to date records. Flashscore.com is probably the best place to keep up to date with all of the current sporting results. Putting it simply, if you want to move on to the more advanced matched betting strategies such as accumulator betting and even high risk casino offers, you won’t stand a chance without a bunch of solid, up to date spreadsheets. Added to that, you’ll be lost without some way of keeping track of all the bookmaker accounts you have open. After a year or so of matched betting, you’ll probably have over 100 bookmaker accounts and in an ideal world, you should have unique, secure passwords for each of them. There are plenty of tools on the market such as LastPass that will keep your passwords safe and secure. Most of them have free versions, a top matched betting tip! You’ll no doubt have heard plenty of people brag about how matched betting has given others the chance to be “free” with finances, time and generally love being their own boss. The problem is, most people are terrible at being their own boss. Rules don’t exist to spoil the fun or remind you of life in high school, they exist to make you the maximum amount of profit possible. So, what do you need rules for and why? A schedule is extremely helpful in keeping you on track, making the most of your time and keeping your other half happy! Decide how much time you can dedicate to matched betting each week and stick to it. Will you check the offers each evening at 7pm after tea for an hour? It doesn’t really matter how much or when, just do what works for you. Failing to stick to a schedule will likely mean you don’t make the most out of certain offers, waste time on low EV (expected value) offers or more importantly, miss out on family time because William Hill are offering 5 free spins! Bank and staking rules are crucial if you want to survive for more than a week in this game. Although a casino offer as an EV of £20, doesn’t mean you are in a position to risk your £40 for it. Consider how much money you have dedicated to matched betting and how much you are willing to risk on each kind of offer. Free bets on sports are often much less risky than certain casino offers, but that doesn’t mean you are completely safe. You could make a mistake placing the bet, have your account frozen or in the worst case scenario, the bookmaker could go bust and take your money with it. This has happened multiple times and could happen to you to. Stake within your means. Always. Like any income source, matched betting has its ups and downs. High risk casino offers can result in huge wins and bigger losses. Some weeks seem to be full of free bet opportunities whilst other weeks have very little. If you let your emotions get the best of you and give up when the going gets tough, you’ll never see the full potential. This is true in all walks of life and especially so with matched betting. Higher risk casino offers can result in loss after loss and if you’re not ready for it, you’ll be throwing the towel in before you know it. It may just be that the big win is just around the corner, ready to balance out your EV chart! After a week of £20 free bets being thrown around, it can seem like £5 free bets are not worth bothering with. But like anything, they soon add up. The key with matched betting is to take action and scoop up any value you possibly can. So long as it is within the reach of your bank and staking rules (see point #2). Your email inbox will soon be overflowing with offers from every bookie known to man. 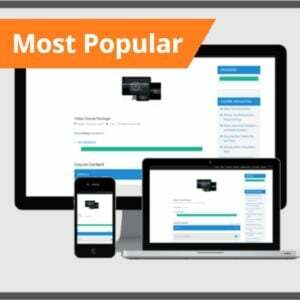 There will no doubt be some great offers in those emails, but sometimes you need to be in the loop to hear about the best value grabbing opportunities. There’s a few options here. You can join online communities, talk to others on Twitter or even just your mate at the pub. So long as you are in regular contact with other matched bettors, you’ll be sure to hear about the big offers before they are gone. As a prime example of this, sometimes there are loopholes that only stick around for a matter of hours. A few years ago, Sky Casino ran a promotion where if you bet £20 on roulette, they would give you a £5 bonus. The EV of this offer is somewhere around £4.50. Fortunately for a select few matched bettors, they noticed that Sky were giving away £5 every time you bet £20 for an infinite amount of times. This was in despite of the “1 bonus per customer” clause in their T&C’s. This resulted in a few matched bettors walking away with £1,000’s in cash for just a few hours work, before the loophole was closed. The point is, if you don’t know about offers or loopholes like that, you can’t make the most out of them. Don’t rely on emails from bookies. Use your network to stay in the loop. The title says it all really. Don’t be a mug and throw money back at the bookies. Mug betting has caused a fair amount of debate within the matched betting community. Some people swear that placing regular bets with the aim of appearing like a normal bettor will keep your accounts open for longer. The fact of the matter is, this is simply not true. Bookmakers and casinos have and will ban users after placing just one bet and sometimes none at all! If you’re taking value bets from bookmakers and they are losing money, or they simply think they may lose money with you, they will kick you out. Placing mug bets here and there will only give back the hard-earned value you have taken from them, before they eventually ban you anyway. Ultimately, the best matched betting strategy is one that suits you. This will depend on how much time you have free, how much money you have in your bank balance and your tolerance to risk. 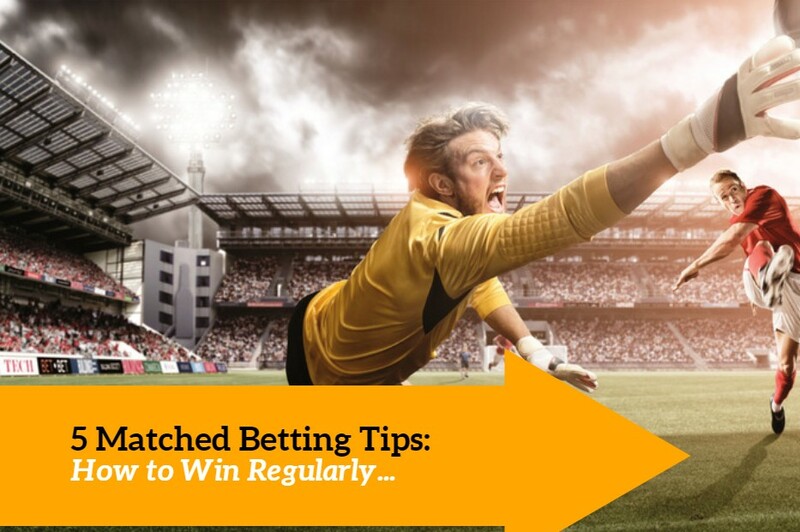 For example, if you’re a fan of keeping things simple and can rarely dedicated a specific time of day to do matched betting, accumulators probably aren’t best suited to you. If your bank balance is small and you can’t take the emotional ups and downs, it’s best to stay clear of high risk casino offers. ⟵Bankroll & Staking Strategy: How Much Do You Need? One tip I could give with this would be make good use of the big sign up offers it is a lot harder after they are gone. Pleasant to see a balanced view of matched betting. Greetings. Fair comment – probably the easier pickings I would imagine! Thanks Charles, no problem. A lot of our readers have or have had an interest in Matched Betting so it just made sense to create such an article. Obviously it’s very different to trading on the machine but there is a little overlap in how things work! Matched betting has certainly changed in the last few years since it became mass market. How do you see matched betting evolving over the next few years Caan? Hi guys, i’m a complete noob to this but I noticed many of the casinos e.g if they give you a free £20 bet they only pay out once youve deposited x5 this into your account. How does this affect matched betting?